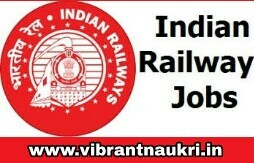 West Central Railway Recruitment 2017 | Assistant Chemist Post: West Central Railway has published recruitment notifications for below mentioned various post. The Post of Assistant Chemist Post will be starts on 11th September, 2017 you may successfully walk in interview on 03rd October, 2017. More information please read below mention officially notifications carefully. Education Qualification : - Passed Matriculation with Science plus diploma in material Lab Technology (DMLT) or certificate course in medical Lab. Age Limit : - 18 to 31 Years. How To Apply : - walking interview on 03.10.2017 at 10:00 AM.